David acquires an unusual radio while June deals with the impacts of the new Federal Marshall that has rolled into town to lay down the law. “A Strange Broadcast” comes after Season One but before Season Two (currently in production). 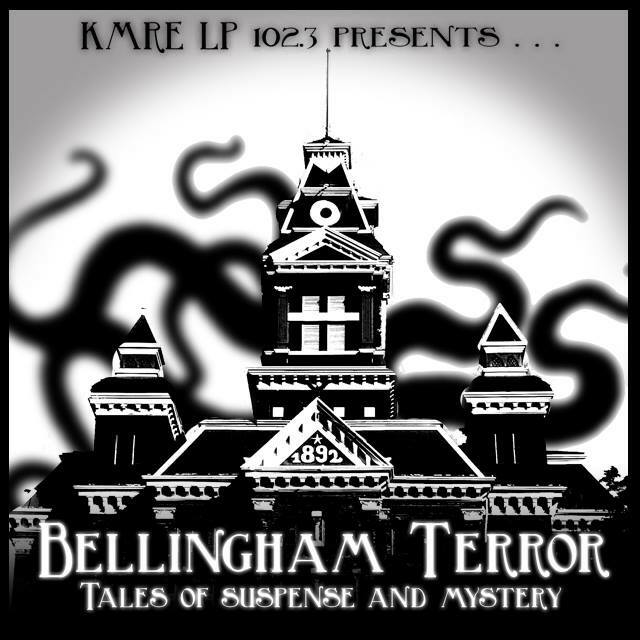 Bellingham Terror is written and produced by Riley and Bryna Sweeney and edited by Elise Gowen. Devlin Sweeney is our sound technician. A Strange Broadcast stars Richard May as the Narrator, Bryna Sweeney as June Harper, Riley Sweeney as David Philips, Miles Russell as Federal Marshal Carson, Scott Hisdal as Alex Bergstrom, Bradford Stewart as Sergeant Harrison, Ian Kuzma as Jim the Mechanic and Anthony Talbot, Esme Dutcher as Gladys Oleson, Doug Robanser as Sergent O’Malley and Adam Gaines as the Mysterious Drifter. Additional voices provided by Devlin Sweeney and Doug Robanser. Is this an over air broadcast or podcast? Does it play at a certain time, date? Yes to both, it plays over the radio in Bellingham, and then uploaded to here and on podcast.